You may or may not know this, but hair dryers have come a really long way since they were invented in 1902. In fact, the first hair dryer was a large bonnet dryer that attached to a chimney pipe of a gas stove. It was not even close to portable and can you just imagine what it did to your hair? 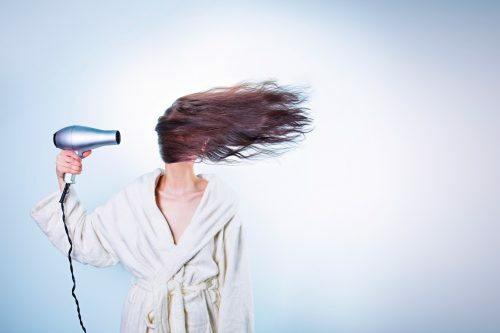 But although they’ve drastically improved throughout the years, it might be confusing to think about some of the terminology associated with hair dryers. Should you choose tourmaline? Or maybe ceramic? What does it all mean!? Don’t worry girl. I gotchu. Here is everything you could possibly need to know before buying a hair dryer. *This post contains affiliate links meaning that if you make a purchase through my link, I earn a small commission, which helps support this blog at no additional cost to you. Keep in mind that I only link to quality products that I use myself and feel would be beneficial for my readers. Can I just tell you that I think hair dryers are actually rather magical? They work by controlling the formation of temporary hydrogen bonds, which are actually stronger bonds than that of a permanent wave. This is exactly how a good blowout can shape your hair so perfectly. However, these hydrogen bonds have one weakness: humidity… which is why your hair goes back to its natural form when you wet it down. So now that we got that out of the way, let’s talk about how hair dryers have drastically improved over the years. Can you remember back to the days when you had to worry about the uneven heat in the coils burning your scalp? Or when you only had one heat setting, too hot? These days, the different types of hair dryers are so much better for your hair… and it’s possible that you aren’t even aware of the benefits they provide. I know that I was confused about what all the jargon meant before I worked at Sally Beauty Supply a few years back. Since I know that all the terminology associated with modern hair dryers can be quite overwhelming, I figured I’d share some key points with you. When looking at buying a hair dryer, there are three main factors to keep in mind: the basic settings, the attachments, and the components. I don’t know about you, but I can’t stand using those wimpy hair dryers in hotel rooms. Because their wattage is so low, they take FOREVER to dry your hair. If you really want to feel like your hair dryer is working for you, go for something with a higher wattage (professionals suggest anywhere from 1300 – 1875 for home use). This will cause the hair dryer to shoot out more air. The higher the wattage, the more powerful the hair dryer. This might be something that most people take for granted, but remember that hair dryers didn’t always offer different heat settings. Of course, you should go with a lower heat setting to protect your hair from damage, but there might be times in the dead of winter that you just want to heat up a little bit. It’s nice to have the option to choose what you want. Another good idea is to turn down the heat towards the end of your blowout when your hair is almost dry. 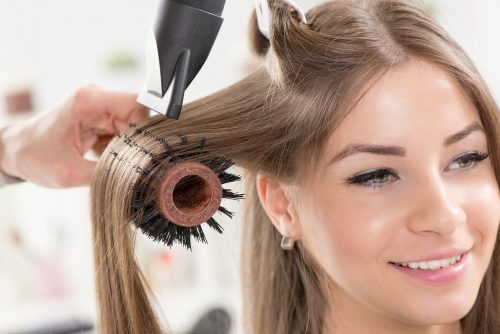 You could also do short blasts of cool air, aimed towards your round brush if your hair dryer has that option. READ: This $8 Shampoo and Conditioner Made My Hair So Soft — And it’s Sulfate-Free. Cooling down the hair helps set your style in place. Turbo blow dryers use AC turbo motors to produce a more powerful stream of air. More air = short dry time. This is something you probably won’t need to worry too much about unless you’re a hairstylist or you use your blow dryer quite often. Ergonomic hair dryers can reduce hand fatigue when used for long periods of time. This is an awesome feature to prevent the dreaded tangled-up mess of a cord. The nozzle is something you should always use with a hair dryer. It concentrates the air flow to a smaller area, which is great when styling your hair with a round brush. It also keeps your hair further away from the heated coils, which can protect your hair from unnecessary damage. The pik attachment is similar to a nozzle but with teeth on it that allow you to “pick” up the hair and comb through it while you dry. This helps smooth the hair and lift it from the scalp, creating more volume. A diffuser attachment is a must when styling wavy or curly hair. On naturally curly hair, diffusers shape the curls, while reducing frizz. On straighter hair, it can help accentuate the natural bend in the hair, making it easier to curl with a curling iron. To use a diffuser, attach the diffuser to the dryer and press it against your head and hair. Rotate the diffuser in a “twisting” motion to encourage the formation of waves while your hair dries. For maximum results, only dry your hair about 80% with a hair dryer and let it air dry the rest of the way. When your hair is wet, it’s full of positively-charged ions. Ionic dryers emit millions of negative ions, which break up the water droplets and allow them to evaporate much quicker. This cuts down on blow-dry time, which also cuts down on damage. It also counteracts static electricity, which leaves your hair shinier and frizz-free. Ceramic is a composite material made of clay that emits far-infrared heat and distributes heat evenly to the hair. This causes less damage and protects moisture in the hair. Tourmaline is a semi-precious mineral (ground up and added to the internal components) that emits even more negative ions than traditional ionic hair dryers. 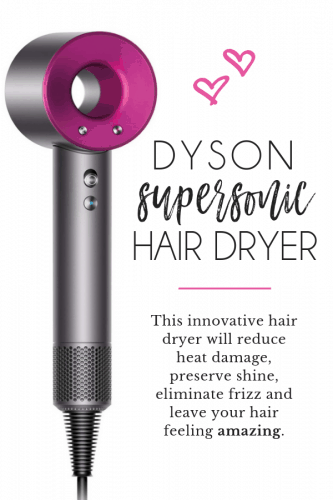 These types of hair dryers have been known to cut dry time down by 40%, and they leave the hair smoother, shinier and less damaged. When buying a hair dryer, you might see some other terms thrown around, like titanium, magnesium, argon, etc. These all add extra benefits to your hair. My advice is to read more into that particular component and what it does before committing to it. Now that you know how to find a killer hair dryer, you just need to decide what works best for your hair and go with that. Trust me, you’ll be glad you did.